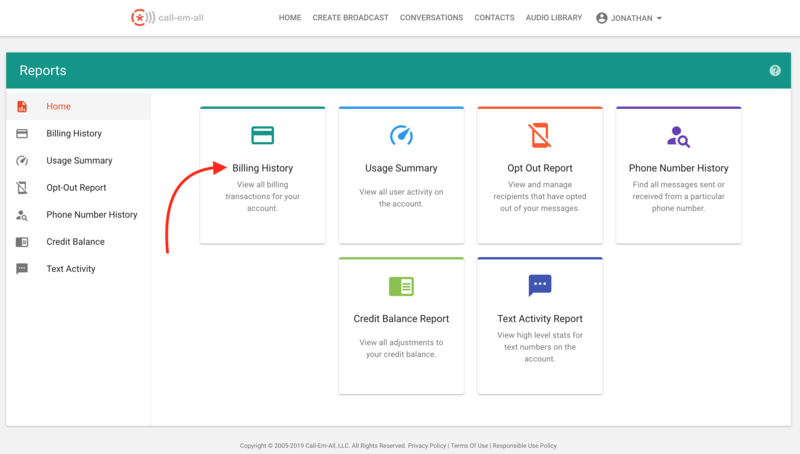 There are two ways to view receipts, past payments, and outstanding invoices in your Call-Em-All account. The first way is to go to your Billing Settings. To do this, go to your account's homepage and click Settings. From here, click on Billing. You will see under Recent Transactions a history of your receipts. Clicking the transaction will either show the receipt details of your purchase or a PDF of your invoice. You are able to print if needed. For any unpaid invoices, please see the Outstanding Invoices section. 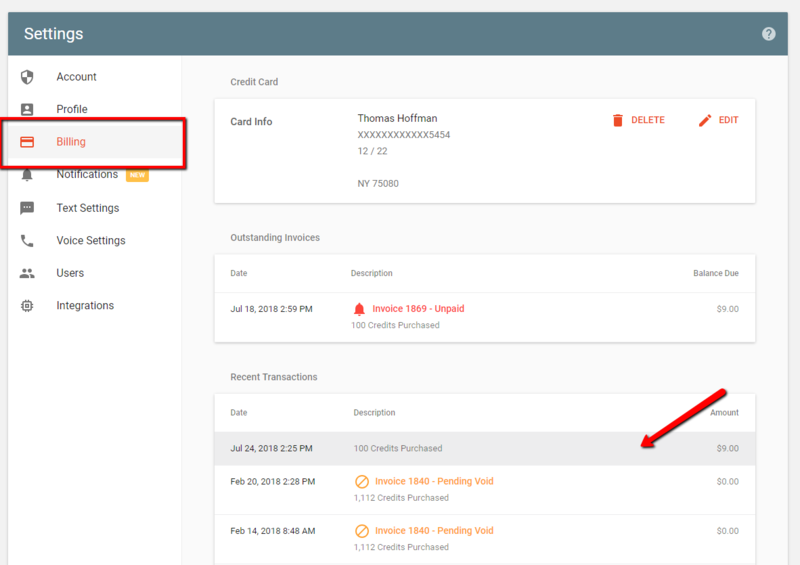 Hover over the unpaid invoice to see an option to make payment with a credit or debit card. The second way to view your transaction is in the Reports section. In your Call-Em-All account, click on Reports. 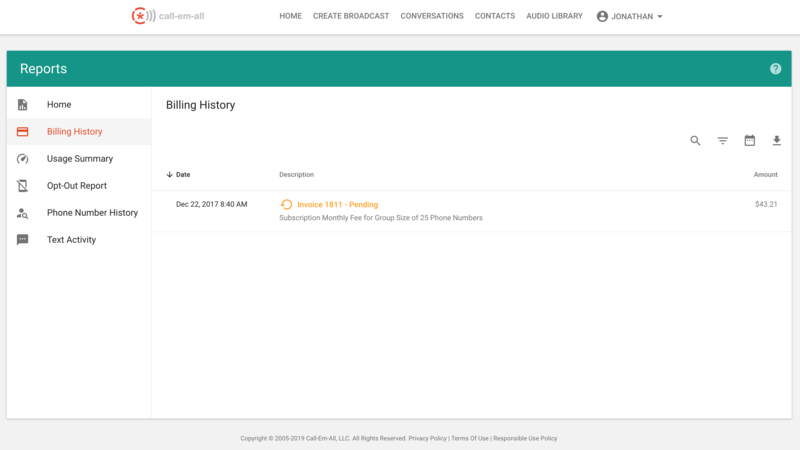 Next, select he option Billing History. Once in Charge History, click anywhere on the charge to open up the receipt or invoice. Once it's open, you can print or save it to your computer.